I have been witnessing much enthusiasm lately from a handful of teachers who are submitting Henrico 21 lessons to this year's contest. Every Holman teacher is required to submit at least one high - quality lesson to the school based scoring committee. However, if your lesson was chosen to go forward the district level last year you are entitled to opt out of submitting a lesson for this school year. Lesson submissions should focus on at least one area of the Technology Innovation Progression Chart (TIP-C). I will be available to offer forward feedback, and I am more than happy to come into your class to help with implementation. Multiple teachers have the option to work together to submit a single lesson, just be sure to include all names on the final lesson plan. Below are links to essential documents and a time-table that you will want to adhere to in order to plan and submit your lesson in a timely manner. The Henrico 21 website is a great resource to use to help generate ideas. Please note that H21 is no longer requiring long, drawn out projects that take weeks to complete, but rather 1 - 2 day lessons that focus on one specific area of the TIP-C. Submitting a long term project is still acceptable, but must score ideal in all 4 areas of the TIPC, whereas a lesson only needs to score ideal in at least one area of the TIP-C. Lastly, please be aware that the best Henrico 21 lessons are those that are student driven and address a real world, authentic task, or problem. I have shared out a folder with all teachers in Google Drive entitled "Henrico21 Dropbox". To access this folder you will need to log into www.drive.google.com using your HCPS username & password credentials. Once you are logged into Drive you can do a search for this folder from the search bar or click on the "Shared with Me" section of Drive to locate this folder. Open the folder. 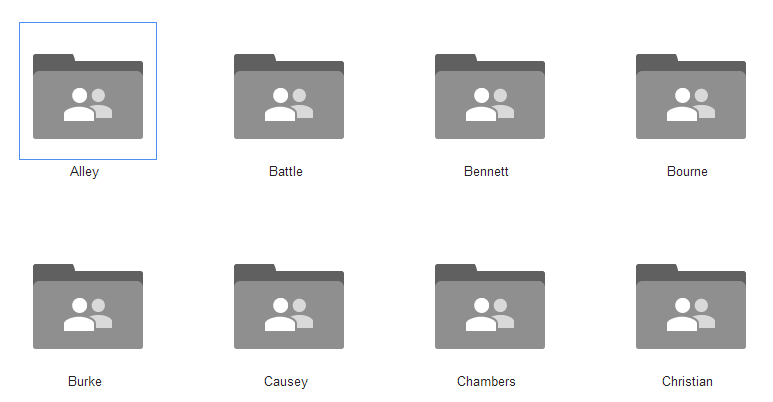 When you open the Henrico 21 Dropbox folder you will see a list of folders for each of the teachers at Holman. Navigate to and open the folder with your last name. This folder will contain everything you need in order to successfully submit your lesson to the the school based scoring committee. A complete final submission will need to have 1 student artifact, your lesson plan, and a rubric. 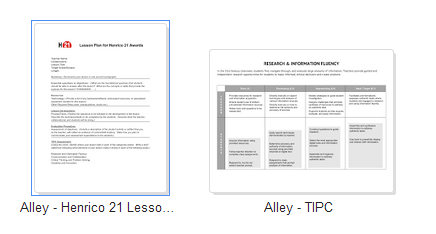 When you open the lesson plan folder you will find your personalized lesson plan and a copy of the TIPC chart enclosed. Your lesson plan is linked to a spreadsheet which allows me to easily access, comment, and edit your lesson plan. The in - house scoring committee will also have access to your lesson plan for scoring purposes. I have enabled sharing rights on the individualized lesson plan so you can share it out with any colleagues whom you may be collaborating with. When your lesson plan is complete, you will receive a TIP-C rating for each of the 4 categories attached to the lesson plan as well as receive an email with your TIP-C scores as well as any other comments or feedback. Thanks for everything that you do. I am looking forward to seeing what great ideas you generate for this year's contest!